Let me come directly to the point – I really like this book! The first section of “Communication for International Business” is extremely relevant to this blog as it introduces Native English speakers to the challenges of international communication and provides sound advice to help them adapt successfully. I’m still amazed that more books have not been written on this topic. The authors Bob Dignen and Ian McMaster wisely have seen the need and focus the beginning of this book on the topic. The remainder of the book touches on this advice again and again, but on a much deeper level covers the core interpersonal skills that one should be aware of when working in a complex global environment. These include topics such as: building relationships; networking; influencing; dealing with ‘difficult people’ and managing conflict. There is also a section about ‘virtual skills’ which focuses on writing emails, speaking on the phone, and working virtually. The first chapter is exactly what this blog aims to be about – raising awareness of the challenges that Native English speakers can present when communicating internationally and giving advice on how to adapt. The second section of the book covers valuable interpersonal skills that anyone could benefit from. Many pages within these chapters could easily be used with high level language learners in a coaching session. I personally found myself taking notes! One of the reasons I truly like this book is that when the interpersonal or virtual skills were being discussed, the authors never forgot to add in small reminders for the Native Speakers. As the focus of this blog is specifically about communicating clearly internationally, I’m going to focus on the first two chapters of the book and on the case studies in my more detailed review below. This chapter asks the Native Speaker reader to reflect on his/her own use of English, provides some feedback from non-native speakers related to their problems understanding Native Speakers, and closes with providing practical tips and guidelines to keep in mind when communicating internationally. The feedback provided by the non-native speakers comes from a survey conducted by Business Spotlight, a magazine for German professionals. As I work in Germany currently, I am well aware of this magazine and know that many business professionals use it in order to improve their English. Co-author Ian McMaster is also the editor-in-chief of this bi-monthly magazine, and thus incorporates the results of this survey into this chapter. Basically, this helps shine a light on the main challenges that the non-native speakers are encountering. Some of the main problems for non-native listeners in understanding Native Speakers? Using too much idiomatic language. Further communication problems are looked at and strategies are provided to help avoid them. One example? Supporting people to express their ideas. In my own experience working with language learners and Native Speakers, this is one of the main areas in which communication breakdowns can easily be avoided. It’s great that the authors focus on it. Once the process of the meeting/presentation/discussion have been explicitly negotiated, all participants have a much easier time of things. With a good dose of clarifying, repetitions, and interactive questioning… many communication breakdowns will disappear. An added bonus to this book are the four case studies, which present four communication breakdowns in a business context, with targeted questions to help the reader reflect and further commentary by the authors. This commentary does not intend to blame or attack the case study participants for the breakdown, but rather gives the reader possible interpretations of what went wrong and suggestions for avoiding a similar problem. One of the things I particularly liked about these case studies was that they included a direct look at the English of the Native Speaker. This is exactly the type of awareness raising that is needed. A Native English speaker is starting up a short presentation in front of a group of 35 international colleagues. The authors give us a realistic transcript of the presentation introduction. Further information is given about the audience reaction and the presenter’s feelings post-presentation. After some reflective questions for the reader, we get four pages of commentary analyzing various layers of what could have gone wrong. A lot of this analysis is looking at soft skills, interpretations, and intercultural awareness, but there is a heavy dose of pointing out the difficult language the speaker was using and the challenges it might present. In the Case Study I’m referring to, the Native Speaker overuses idiomatic phrases and complex sentence structures while also throwing in too many unfamiliar words. Here we get to see exactly what these phrases are and some examples of how to adapt them to a more international audience. 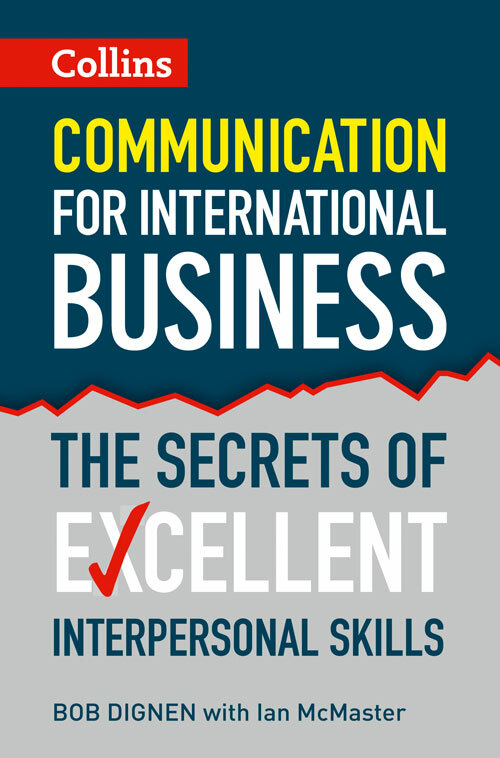 The bottom line: The book “Communication for International Business: The Secrets of Excellent Interpersonal Skills” by Bob Dignen & Ian McMaster is an excellent addition to the shelves of anyone interested in working globally. The key tips and awareness raising for Native Speakers in the first section is something that has been missing from most literature regarding international communication, and the interpersonal skills discussed throughout the book will help you build and enhance your business relationships. You Business English trainers out there will also find it useful for discussion with those one-to-one lessons & coaching sessions – especially with those managers! 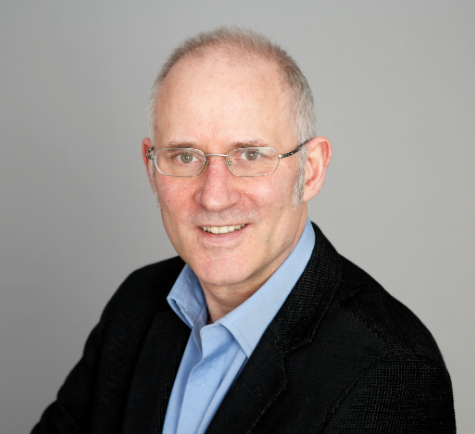 Bob Dignen is a Director at York Associates and specializes in international competence development through seminars to clients across Europe. He also coaches project leaders operating across cultures and runs international team-building sessions. He’s also doing a lot of work on the topic of Native Speaker – Non-Native Speaker interaction. Ian McMaster is the editor-in-chief of Business Spotlight. His specialist research interest is the use of English as a lingua franca in business, and communication problems between Native Speakers and Non-Native Speakers. Here is his blog on the Business Spotlight website! Questa voce è stata pubblicata in Book Reviews. Contrassegna il permalink.